The long multi-arched structure is a single carriageway bottleneck on the N2 Dublin to Derry road. 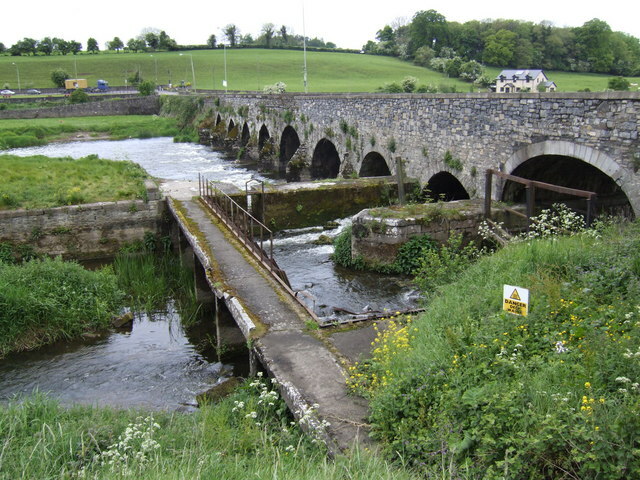 The diverted section of the river in the foreground sends water to Slane corn mill, see N9673 : Slane Mill, Co. Meath. This page has been viewed about 246 times.